Striking in design and packed with advanced tech and safety features, RAV4 Hybrid boasts even more power than its conventionally powered stablemate — all while delivering even greater fuel efficiency. 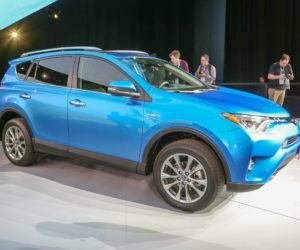 For a dynamic and fun All-Wheel-Drive experience that accepts no compromises, 2016 RAV4 Hybrid is truly the best of both worlds. For additional models in the RAV4 range, consider RAV4 gas models.